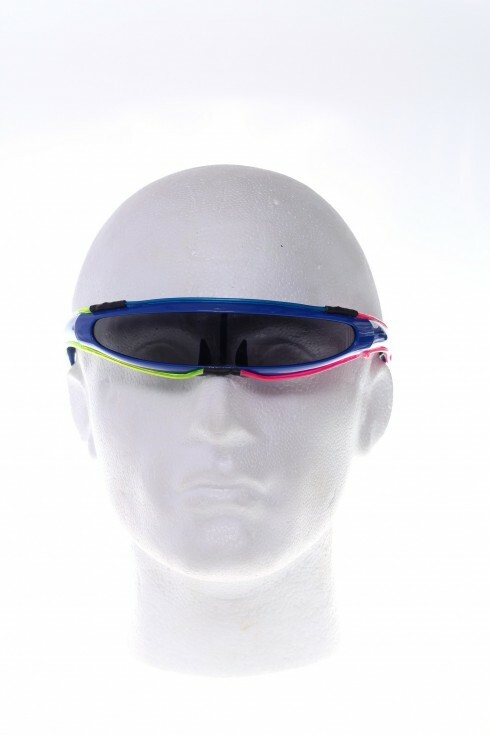 Sound sensitive multicolor electro glasses, best excel at the party, disco, club or festival. If you like to be the central point of attention, or you just want to get the interest of others and be cool, these glasses are the right investment for you. Of course, they are also suitable as an original gift. For sale online at a special price! Glasses consist of three colors: blue, green and pink, and the glasses frame is white. Lighting modes you can change of course as you wish.